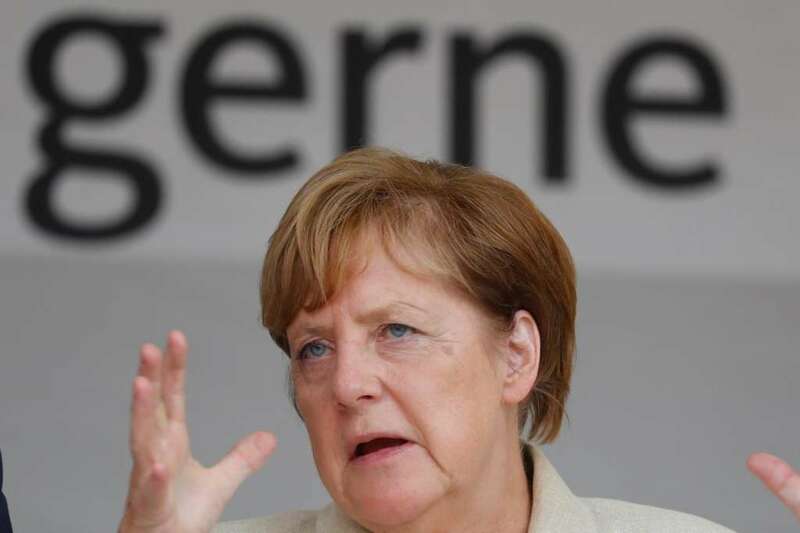 Ankara- German Chancellor Angela Merkel has said she would discuss with European leaders the “suspension” of Turkey’s membership talks and push them to agree on a “joint stance” from the country. She told the German Bundestag lower house of parliament on Friday that should would propose the suspension of the talks during the European Union meeting in October. “Turkey is moving away from the path of the rule of law at a very fast speed,” Merkel said. “I will push for a decisive stand … But we need to coordinate and work with our partners,” she added. Her comments are likely to worsen already strained ties between the two NATO allies that have deepened since Turkish President Recep Tayyip Erdogan’s crackdown on opponents in the aftermath of a failed coup attempt in July of last year. Meanwhile, Turkish EU Minister Omer Celik said after meeting EU foreign ministers in Estonia’s capital Tallinn that the EU was making a “child’s game” out of its membership talks. Celik reiterated his call to open more areas of negotiations with the EU. “This approach of ‘I froze talks, now I restarted them’ is not acceptable for us,” he said.